Yeah ! 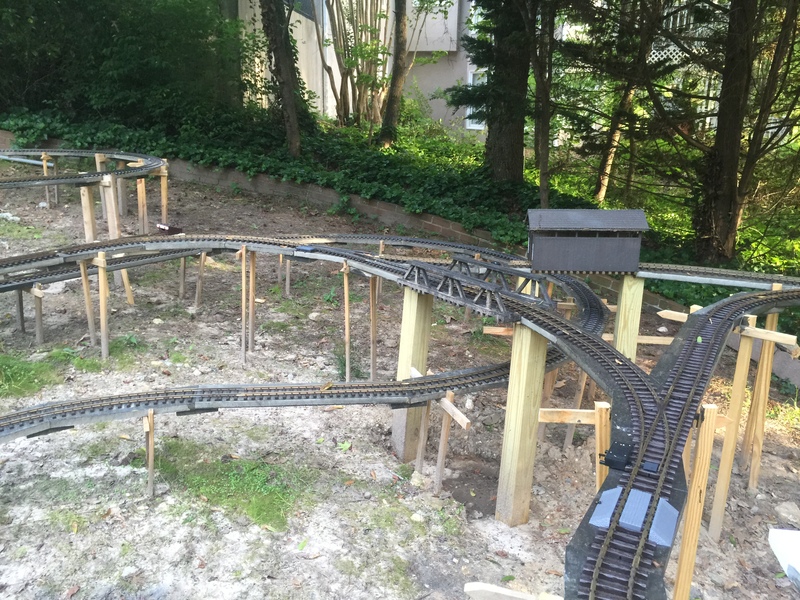 finished laying the final track tonight. I was waiting on some Hardboards to finish up the side spurs. I finally got everything finished and laid out. Everyone keeps asking me when I will be finished and I tell them in about 3 years and they don’t believe it. 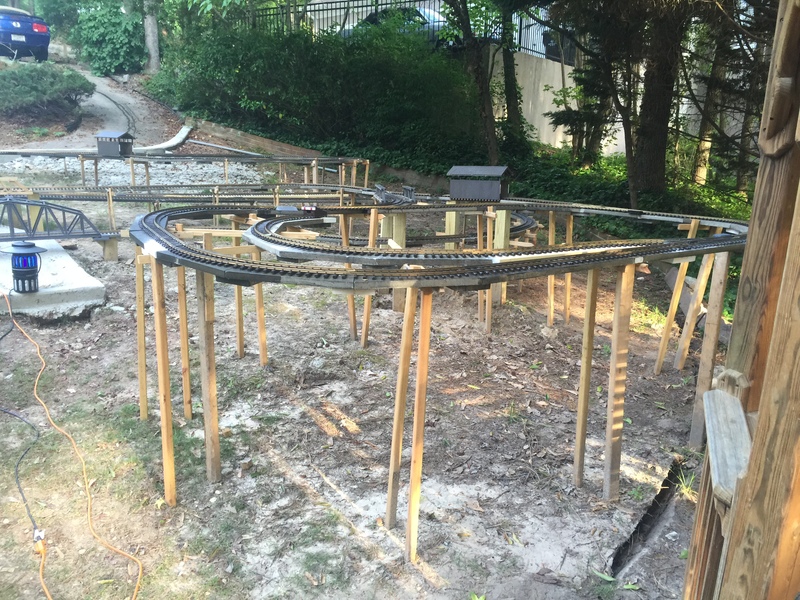 Laying the track is just one of the early phases. Here are the next phases that I will be working on. As you can see the phases keep growing and growing. 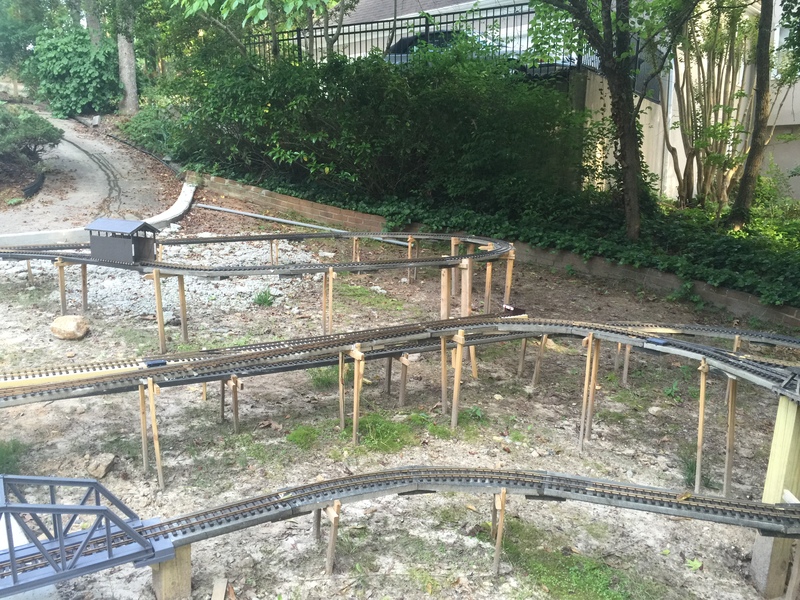 7) Work on infrastructure that will be below ground for the layout. 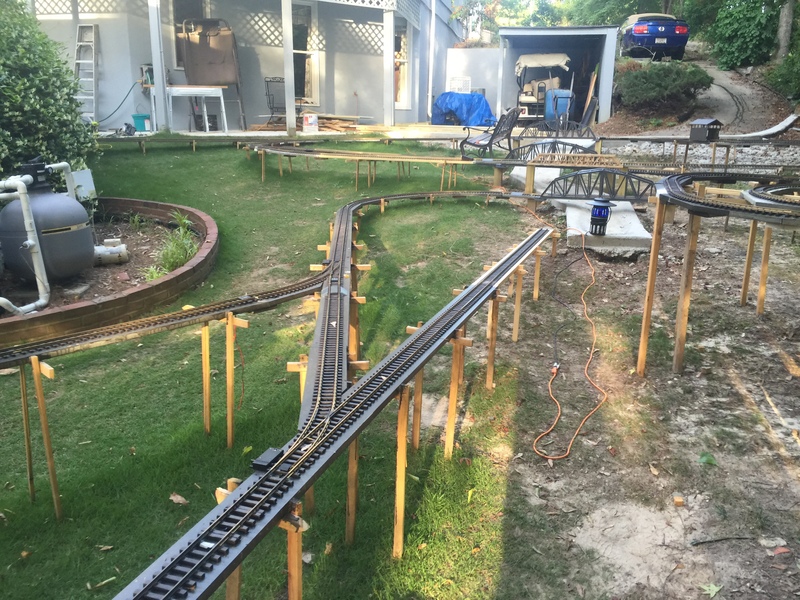 Wiring for all of the track, signals, turnouts and other related electronics to support the DCC control system, pipes for the waterfall, drains, sprinklers for the plants. 9) Build up the mountains and other unique features. Yeah ! 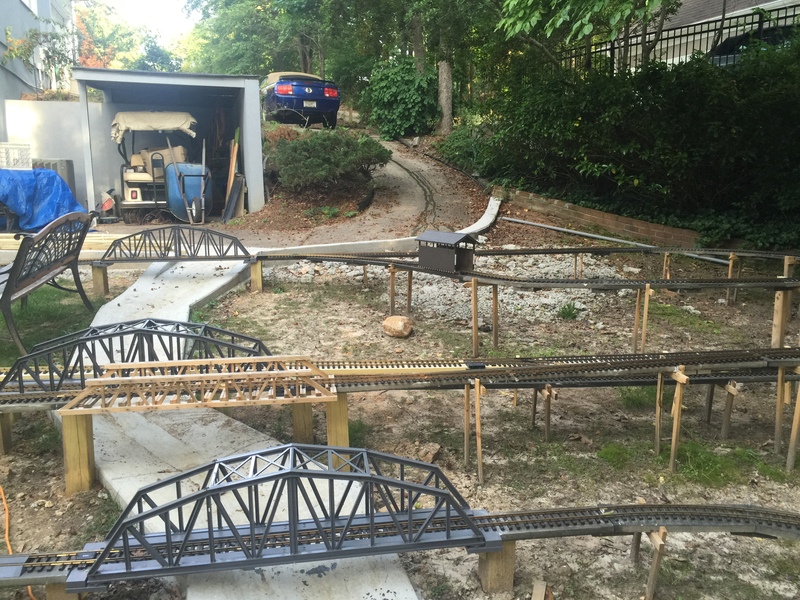 I finished laying the final track tonight. I was waiting on some Hardboards to finish up the side spurs. I finally got everything finished and laid out. Everyone keeps asking me when I will be finished and I tell them in about 3 years and they don’t believe it. 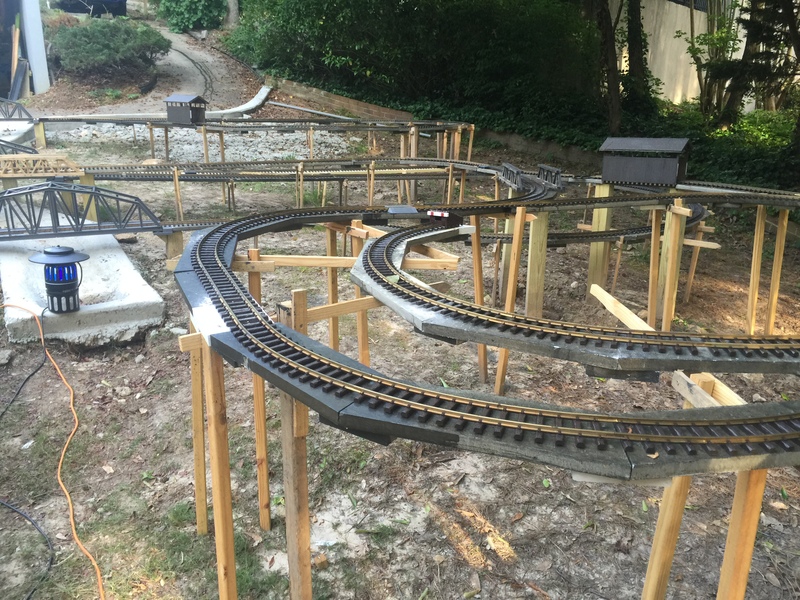 Laying the track is just one of the early phases. Looks really good!! 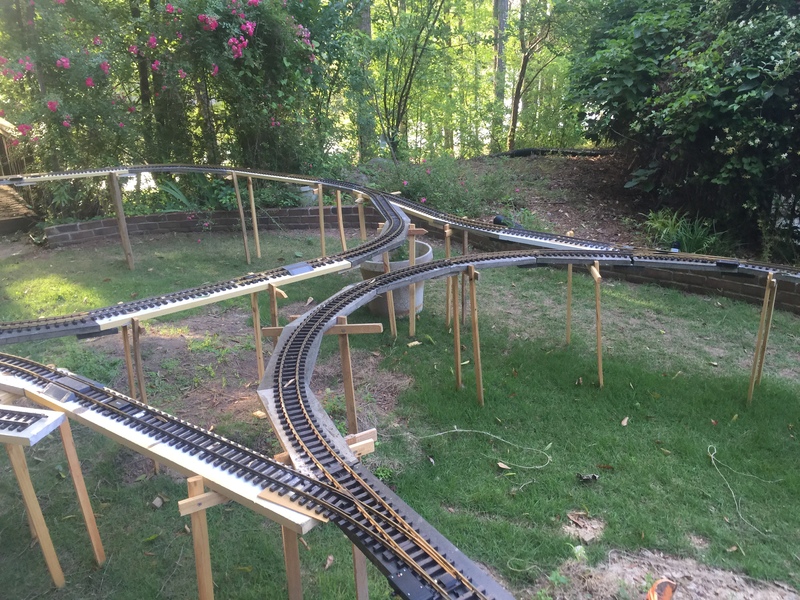 How weatherproof is your layout from like rain and wind? 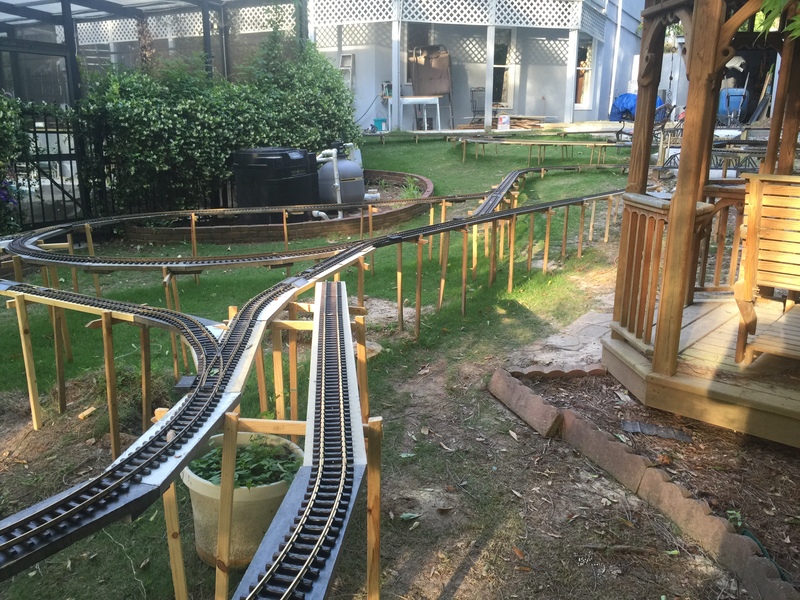 I am using LGB brass track which will withstand the weather fine. LGB turnouts and other components are all designed to be out in the weather as it is a “garden train” it will have to be cleaned periodically but that is it. 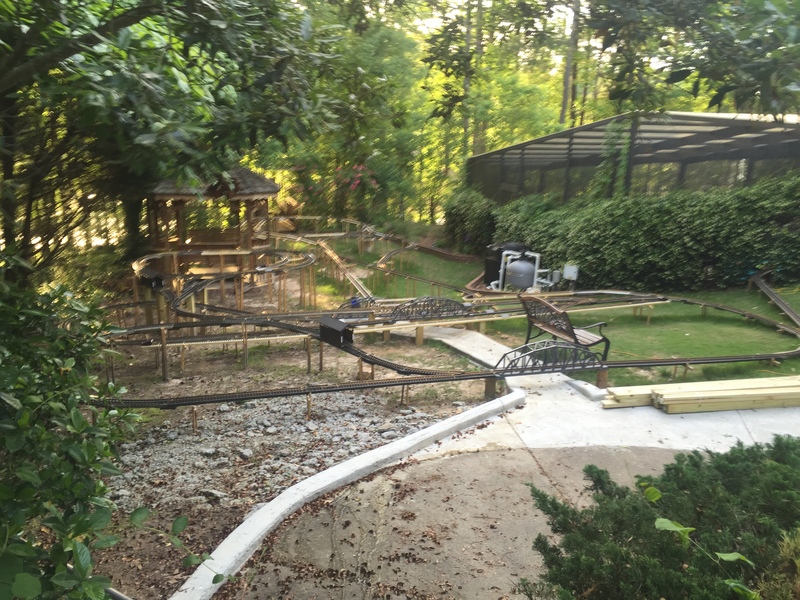 The track bed is made of James Hardie hardboard which is designed to never rot. All of the wood supports are pressure treated lumber. 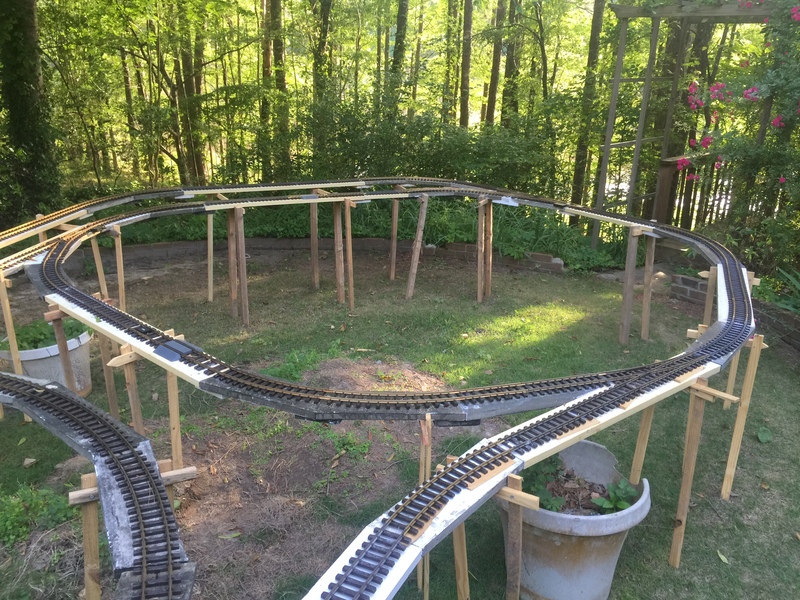 I will be adding electronics and wiring to the track shortly but only low voltage (22V AC max) will be outdoors and all of that electronic components will be in weather proof enclosures and the wiring in conduits. Please stay tuned to my blog as I will be detailing this process. All of the components have been designed with the weather in mind. 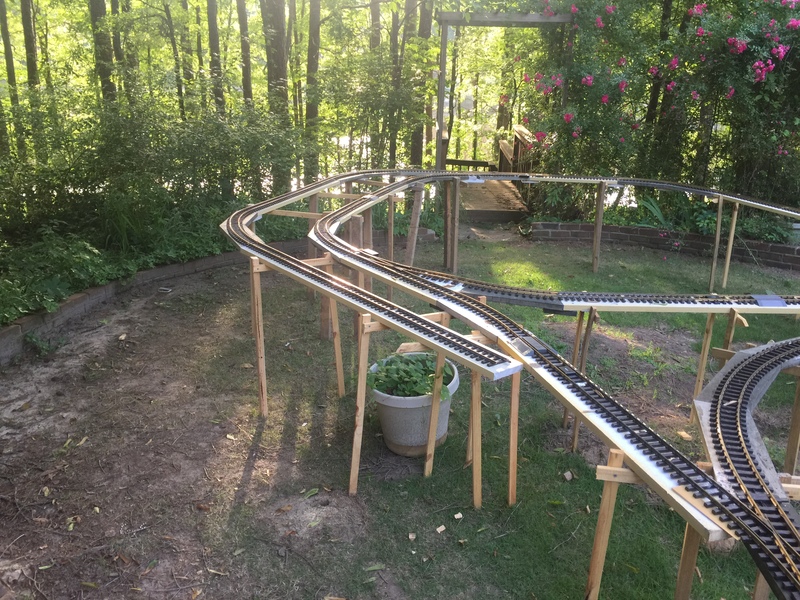 I have designed my layout so that the the locomotive and train car side spurs are inside my covered pool area so that when I am not running the trains, they are under cover and protected. This is also where the transformers and 120V AC plugs will be. I will try to detail all of this in future blogs as I build it up.